At some point in your college career, you likely borrowed a Federal Student Loan. Furthermore, you will be required to start issuing payments to your loan servicer on a monthly basis. This might appear as a daunting task, but with the right information, you’ll have no problem clearing your Federal Student Loan debt. As long as you are enrolled half time (6 hours) or more your federal loans are in deferment. Deferment means no payments are required while enrolled at least half time. Keep in mind though interest is accruing on your Direct Unsubsidized Loan while in deferment. One option you have is to make payments on your loans while you are enrolled. There is no penalty for paying on your student loans and making payments can drastically reduce what you owe upon graduation. Read more about the advantages of making payments while in school. The Department of Education advises to “Take the time to fully understand your loan agreement and the types of loans you are receiving.” It’s also important you do NOT borrow more than you need or more than you expect to be able to repay. Perhaps, one of your best resources is actually the school you attend/attended. The Lourdes Financial Aid Office is more than happy to help address these very things; in fact, it is our job! Completing exit counseling is required by law and it provides important information you need to prepare to repay your federal student loan(s). It will assist you in understanding your loans, repayment plan, avoiding default, and prioritizing your finances. Sign into the website Studentloans.gov using your Federal Student Aid ID (FSA ID). When you sign in, you will be able to see your federal student loan information available in the National Student Loan Data System (NSLDS), notify schools of counseling completion, and view confirmation of counseling completion. According to the Department of Education, the cohort default rates increased for all sectors: from 6.0 percent to 7.2 percent for public institutions, from 4.0 percent to 4.6 percent for private institutions, and from 11.6 percent to 15 percent at for-profit schools. Understand your student loans and your loan debt ( www.nslds.ed.gov). Find a repayment plan that works best for you. Always open and read documents sent from your loan servicer and also update them and your financial aid office if any of your contact information changes. Remember, you must repay a student loan even if you are having difficulties repaying them and your financial circumstances change, but there are options. 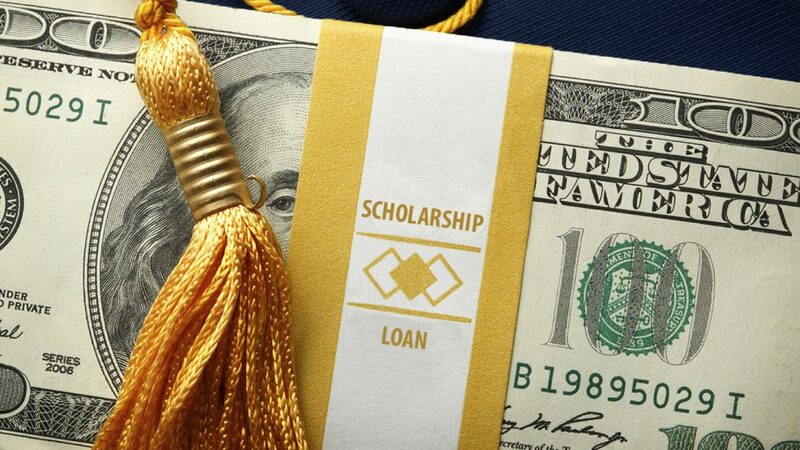 A Federal Student loan is a loan funded by the federal government to help pay for your education. A federal student loan is borrowed money you must repay with interest. By definition, interest is money paid to the lender in exchange for borrowing money. Interest is calculated as a percentage of the unpaid principal amount (loan amount) borrowed. In other words, interest is money that adds to what you have initial borrowed at a certain interest rate. Learn more about interest rates. What is loan repayment and when do I have to start paying back my loans? Loan repayment is the process of setting up payment arrangements with your loan servicer and begins after a student’s grace period ends. The grace period is a set period of time (typically 6 months) after you graduate, leave school, or drop below half-time enrollment (or 6 credit hours at Lourdes for undergraduates) before you must begin repayment on your loan. Who is my loan servicer and how much do I owe? To answer this question you will need to log on to the National Student Loan Data System. This site keeps track of all your Federal Student Loans, how much you have borrowed, how much interest has accrued, and who you need to pay your loans back to. What if I do not repay my loans or cannot pay back my loans? Loan debt will increase due to late fees, additional interest, court costs, etc. If you cannot make your monthly payment, contact your loan servicer immediately to get set up on a payment plan you can afford. Your monthly payments could be $0. Learn more about repayment plans. How Do I Make Payments On My Student Loan? Setting up loan payments is just a phone call or click away. First, you will need to determine who your loan servicer(s) is. This can be done by going to the National Student Loan Data System. Now that you know who you have to repay, you can either contact them via phone or by setting up an online account. Once you have established contact with your loan servicer(s) you will be able to set up your payment arrangements. The Financial Aid Office realizes that this process can be daunting. If you need any assistance, please feel free to contact us and an advisor can address any questions or concerns you may have as well as help you get the process started.